It’s been announced that Marvel Entertainment and video game publisher Square Enix have joined forces for a massive partnership. The focus of this teaming is to deliver multiple games based on Marvel titles and characters in the coming years. 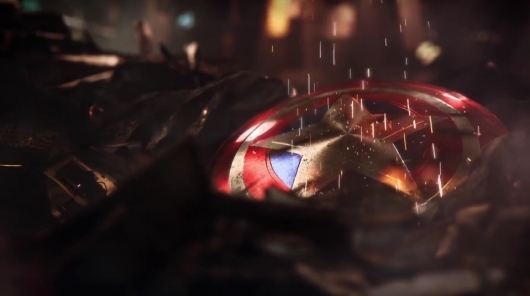 The first game to be unveiled in this new partnership is a currently untitled project based on The Avengers. The game will be made by Crystal Dynamics, developer of multiple Tomb Raider games including the 2013 reboot and its 2015 sequel Rise of the Tomb Raider, and Eidos Montreal, who are best known for their work making the Deus Ex games. To announce the game, a brief trailer was released. You can give that a watch below. The only bad news about all of this is, it sounds like we’re going to have to wait quite a while to see or even hear anything else. According to the description accompanying the announcement trailer, which can be read in full below, we’ll have to wait until 2018 just to get more details on this Avengers game and other projects.